Members of Iraqi federal forces are seen in Dibis area on the outskirts of Kirkuk, Iraq October 17, 2017. 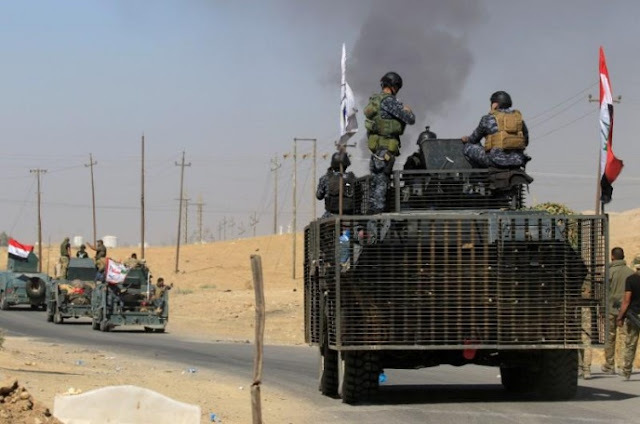 BAGHDAD - Iraqi forces have taken control of areas previously held by Kurdish forces in Mosul’s Nineveh province in northern Iraq, a military statement said on Wednesday. Iraqi forces have taken control of areas previously held by Kurdish forces in Mosul’s Nineveh province in northern Iraq, a military statement said on Wednesday.